Fa, a long long way to run. : Not tall and tan but..
Not tall and tan but.. I'm always for the boots (except for UGG), never the sneakers. I don't think i look good in sneakers however the only kind that's okay for me would be those flat casual ones, high cut (can't seem to escape the boots in me). But i am now desperate to get a pair of sneakers for my Amsterdam-Portugal trip because the last time i wore slip-ons to Soundwave, my feet were sore from the stage-to-stage walking. 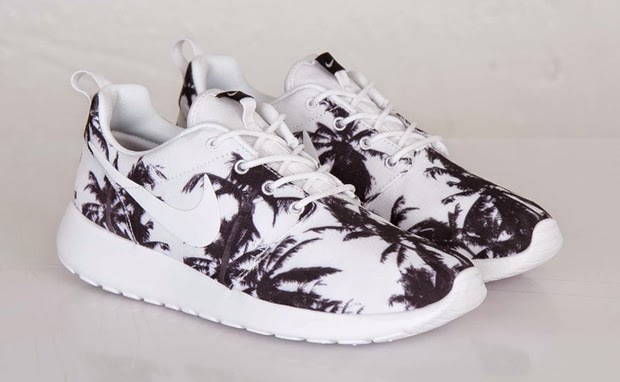 A friend suggested Nike Roshe (to which i secretly kinda like the woven ones) but totally fell deeply in love with the Palm Trees (so in love that i am posting this after so long ignoring this blog). So in love, it's crazy. Googled it up, found it on eBay, bidding starts USD300. I am so sad right now. So in love but so sad.